Tickets go on sale today at noon for a February 5th Robyn show at Highline Ballroom in NYC, and for one four days later at the Troubadour in LA. It’s been over two years since the Swedish pop star first developed her indie-cred, and currently she’s bigger than ever – the song “With Every Heartbeat” recently hit #1 in the UK. I’m excited. 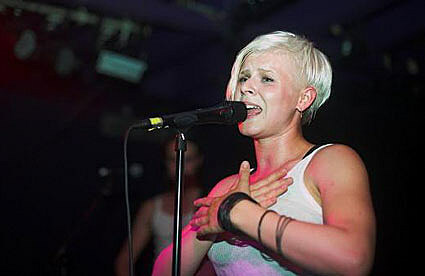 Unlike Annie, whose live show ended up being kind of a dud compared to her studio work, Robyn is constantly touring and playing out. Just watch this and this. More videos, and all tour dates, below….